The Daily Jazz: Merry Xmas from The Daily Jazz! What else would anyone want to listen to on a day like today? 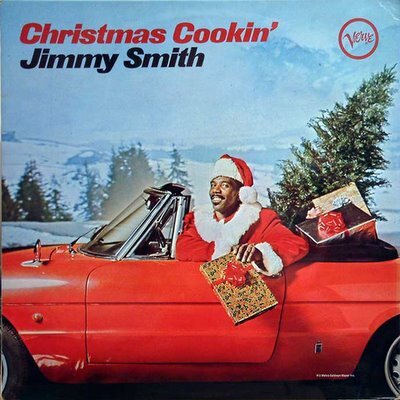 The great Jimmy Smith, with help from an (unobtrusive) orchestra cooks on 8 christmas standards, the result being an album that your mother would love to hum but is still great improvisational jazz. Sometimes, like on 'Jingle Bells', he goes off without the strings and smokes it in a trio format - fantastic. This is going to be short - there's a small boy desparate to open some presents (no, not me), so visit 'The Incredible Jimmy Smith' for more details of this recording.